World Wetlands Day is celebrated every year on February 2 since 1971. It draws public attention to the prominent role of wetlands in natural processes and human life, their vulnerability and the importance of their wise use. 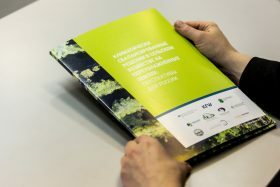 The theme in 2019 was the relationship between wetlands and climate change. Climate change is a global environmental problem, which finds its expression in processes and phenomena unusual for humanity – the growth of the average annual temperature of our planet, the melting of glaciers, degradation of permafrost, rising sea levels, increasing the number of extreme weather events – hurricanes, tsunamis, droughts, forest and peat fires. Climate change is associated with an increase in the concentration in the Earth’s atmosphere of so-called greenhouse gases — primarily carbon dioxide (СО2), as well as methane, nitrous oxide, and others — as a result of human activity. Since the beginning of the industrial era, the СО2 content in the atmosphere has increased by 40%. In 2015, world leaders signed the Paris Agreement – an international treaty to limit greenhouse gas emissions. The purpose of the agreement is to keep the growth of average temperature within 2°С over the course of the current century. To achieve this goal, it is necessary to include the conservation, restoration and sustainable use of wetlands in all existing strategic plans to combat climate change. Information materials collected by the Secretariat of the Ramsar Convention on the World Wetlands Day 2019 website www.worldwetlandsday.org convincingly demonstrate this. The task of preserving wetlands is especially relevant for Russia – peatlands cover more than 8% of the country’s territory, and taking into account wetlands, their share is almost 20% of the area. Although most of the peatlands remained intact, in the European part of the country several million hectares of bogs were drained for peat extraction, agriculture and forestry. Drained and abandoned peatlands pose a serious threat of peat and forest fires. Forest fires of the extremely hot and dry summer of 2010 demonstrated how great the danger is. That season, most of European Russia was shrouded in smoke. EthnoExpert is actively involved in solving this problem within the project “Restoring peatlands in Russia – for fire prevention and climate change mitigation”. This is one of the world’s largest projects for the ecological peatland ecosystem restoration. It represents significant scientific and practical value as a significant achievement in studying the role of peatlands in the global carbon cycle and in developing advanced technologies for restoring disturbed natural ecosystems. The work of the project has already led to the elimination of fires and a significant reduction of greenhouse gas emissions over a large area in central European Russia. 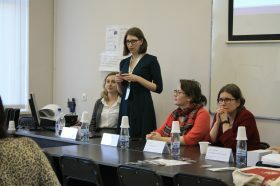 The EthnoExpert team took part in the business program of the International Forum "The Arctic: Territory of Dialogue", held in St. Petersburg on April 9-10, 2019. The forum became the most important platform for discussing the sustainable development of the Arctic region and united several thousand scientists, politicians, business representatives and environmentalists from different countries. 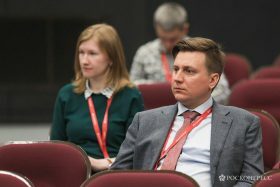 Educational conference “Sustainable Development Week” took place at the Faculty of Economics of the Saint-Petersburg State University on March 18-22. The EthnoExpert team conducted and participated in The Workshop «Climate-Smart Agriculture in Wetlands and Peatlands: Prospect for Russia».